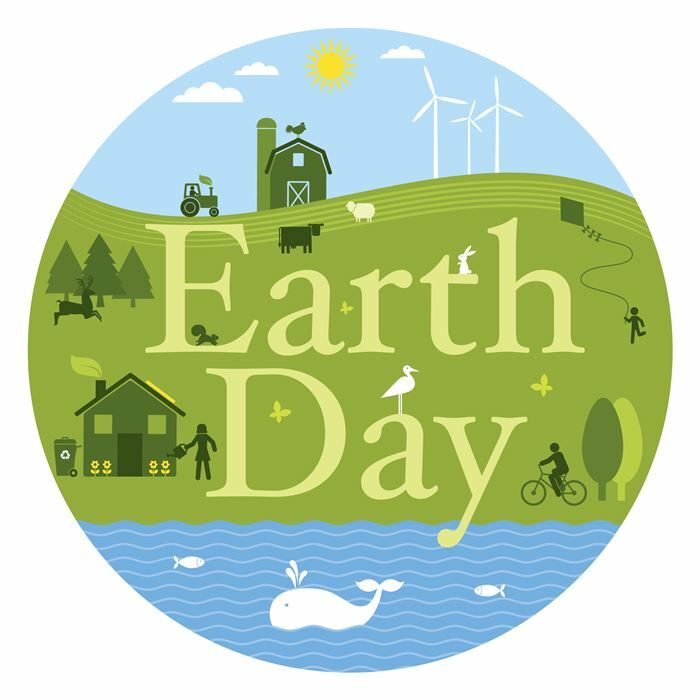 Earth Day is just around the corner (April 22). The observation of this day has generated awareness of personal responsibility and the effects individuals can have on the climate. Each person leaves what’s called a carbon footprint. Your carbon footprint is defined as a carbon footprint is the total amount of greenhouse gases emitted into the atmosphere by an individual or event, expressed as CO2e. Learn more about your NSPN family at https://nspn.memberclicks.net/our-team. If you want to see how big (or small) your family’s carbon footprint is, take a look at this calculator: https://www3.epa.gov/carbon-footprint-calculator. Feel free to let us know what steps you take to help the earth by leaving a comment below. I have been recycling for a long time and around our office I’m affectionately known as the “Recycling Queen.” I’m not ashamed to say I occasionally rummage through the garbage when I see recyclable materials in the can. This all started because my neighborhood was part of a pilot recycling project in Louisville and we became fanatics about how to reduce, reuse and repurpose. At home, my husband and I produce less than one bag of trash each week and we even purchased a larger recycling can from the city to pick up each week. We would have even less to throw away if we had a way to easily dispose of or compost organic trash – coffee grounds, old flowers, egg shells and other kitchen garbage. Get a recycling container and place it in a location it will most likely be used. Don’t just throw it away! Think and look before throwing something into the trash. Does the item have the recycling triangle on the bottom – can it be recycled? Purchase items that have minimal packaging or that are not individually wrapped. For example, purchase the larger-sized products and re-package them in your own reusable containers. When getting that cup of coffee at a meeting or conference, use the ceramic or glass mug instead of the paper cup with the lid. Those mugs can be washed and reused! Use cloth napkins instead of paper and use real cloth dish towels instead of paper towels. Don’t get a shopping bag if you don’t need it. If it’s one or a few small items, do you really need a bag to put them in? Don’t hesitate to say you don’t need a bag. Dry cleaners often use more environmentally friendly techniques and options, such as reusable laundry bags – ask about this option. I put shirts I need to be laundered and dry cleaning items in my laundry bag and when I go pick up our clean items, that bag turns into a garment bag and covers those items just like the old plastic bags – no garbage produced. Use a reusable water bottle instead of purchasing plastic water bottles. For yard waste at home, purchase a large metal or plastic garbage can and place your yard waste in that container. If you have a large yard, you might need more than one. Make friends with your neighbor and borrow theirs if you have a lot to get rid of. My neighbors borrow our containers many times in the fall. Consider installing a rain barrel or two to collect water coming off of your roof and gutters. Use that for watering your plants. Does your workplace recycle? Does your neighborhood recycle? If not, try to get a recycling effort started. If this doesn’t work out, find out where the recycling drop-off sites are in your community and take items there. Consider purchasing items made of recyclable materials when you can afford to do so. Recruit more recyclers – it takes all of us to make a difference.